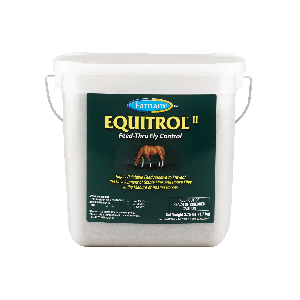 Prevent development of house and stable fly larvae in your horse's manure with Equitrol® II Feed-Thru Fly Control. Highly effective and controls fly populations by interrupting the fly life cycle. Include this highly palatable additive in your horse's feed schedule to help win the battle against flies.